Greetings from Geneva, a picture postcard™! Geneva, Illinois, that is. Although there are similarities to the much larger city in Switzerland, this town of approximately 22,000 people (2010 Census) is located in the western suburbs of Chicago. Like its international counterpart, quaint boutiques line the streets of the historic downtown business district. And, like its counterpart, this Illinois city fervently supports the arts, cultural activities, tourism and a strong economic foundation. 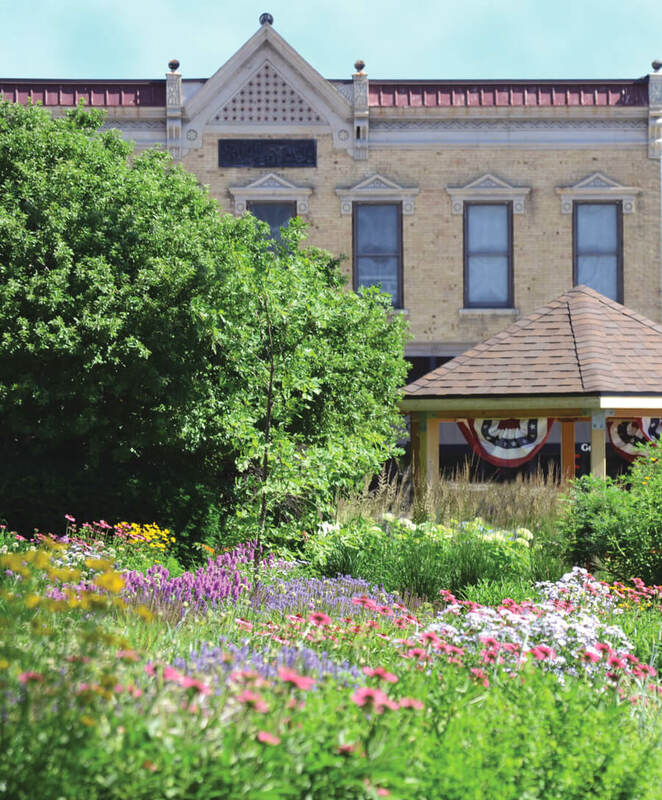 Though it isn’t the largest city in Kane County, Geneva is the county seat and is readily accessible to downtown Chicago via Metra, the commuter train in the Chicago area. Along with neighboring communities, the town is a proponent of economic development and counts on the support of area nonprofit and governmental programs to encourage a burgeoning entrepreneurial landscape. One could say that 25N Coworking, a coworking space that opened in February 2015, now anchors the startup community in Geneva. Collaboration, innovation and economic development are several of the business goals identified by Community Founder Mara Hauser. After searching for an appropriate space in the western suburbs for over 10 months, she found space in a nearly empty building in Geneva. According to Hauser, the vision of 25N Coworking is to be a resource and a professional environment where entrepreneurs, freelancers, virtual employees and even larger businesses have a place to come in to work, network and collaborate with others. Annual memberships begin at $250, which gives members access to desks, meeting space and community events. Already, this coworking space has over 80 members, many of them startups or entrepreneurs as well. Currently, all of the private office spaces are rented, with a growing waitlist. Although this coworking space is new, members already report increased business by collaborating with fellow members, or through referrals. Some events, such as a monthly coworking meetup group and Pitch + Catch, allow networking among members, but are open to the public. During Pitch + Catch, members have the opportunity to gather feedback from an audience when they share a new business idea, a sales pitch or a financial pitch. After the successful start of 25N Coworking, Hauser hopes to fine-tune her concept and open similar coworking spaces in other suburbs. She is also mentoring a musician who is looking to open a musician’s coworking space. Hauser credits the City of Geneva and specifically the Economic Development Department for ongoing support through the startup process. Cathleen Tymoszenko, the department’s director, says the City maintains current research and information on business start‐up advice and forming a business plan. “We also provide information on funding start‐ups through traditional financing, crowdsourcing and angel investors,” offered Tymoszenko. Small Business Development Center: SBDC advisors provide aspiring and current small business owners a variety of free business consulting and low-cost training services. They help entrepreneurs realize the dream of business ownership and help existing businesses remain competitive in a complex, ever-changing global marketplace. Two SBDC advisors are members of 25N Coworking’s advisory board and hold open office hours in the space. Center for Business Education, Innovation, and Development: This not for profit entity was formed to foster economic well-being in the Fox River Valley area (Northern Illinois). The Center is a proactive response to the challenges and changes rendered by an intensely competitive global economy. It aims to promote economic viability and growth through public education, focusing particularly on small and start-up businesses with innovative business ideas. Fox Valley Entrepreneurship Center: The nonprofit is a virtual collaboration of expert advisors and mentors who surround qualified entrepreneurs with the resources they need to achieve growth. Their mission is to mentor a business for three to six months and serve as an accelerator. Illinois Mathematics and Science Academy (IMSA) is a notable example. IMSA is a three-year residential public high school located in Aurora, Illinois. The competitive enrollment school has been consistently ranked by Newsweek as one of the top ten high schools in the country for math and science. IMSA also advances education through research, groundbreaking ventures and strategic partnerships. As evidenced by the resources available and a growing number of startup businesses, the entrepreneurial spirit is on fire in the Fox River Valley of Illinois. Area businesses not only welcome the startups, they embrace and mentor them. Author: Shirley Mott is a freelance writer and solopreneur. She had no clue what coworking was when she was invited to participate in a focus group about the concept several years ago. She gets it now and is a founding member of the 25N Coworking community in Geneva, Illinois, USA. Visit thewrite-word.com to contact the content and public relations specialist.